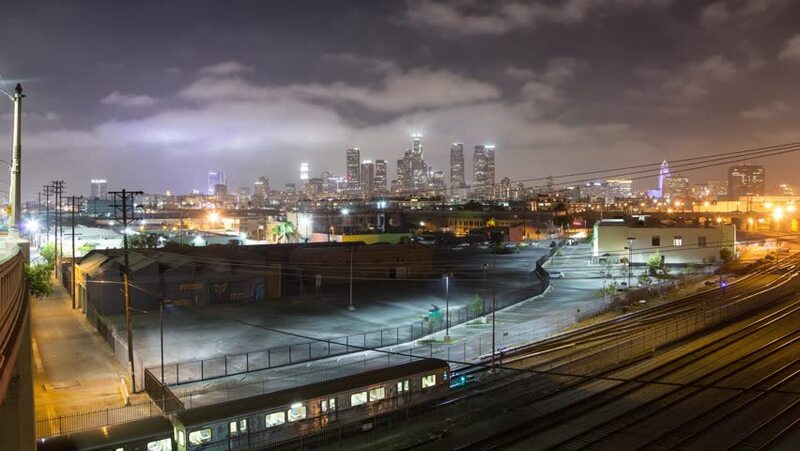 Downtown Los Angeles city at night with railroad tracks in the foreground. Zoom in. 4K timelapse. 4k00:12Pan across downtown Los Angeles city skyline cityscape at night with railroad tracks in the foreground. 4K timelapse. 4k00:11A daytime overcast aerial view of traffic flowing over the S Lamar Boulevard bridge in downtown Austin, Texas on an overcast winter's day. hd00:19Night time-lapse of dinner cruise boats in Tokyo Bay near Odaiba. Shot with a tilt-shift lens. Tokyo Japan. hd00:29Paddle Workout, False Creek, Vancouver. Early morning workout by a paddler in False Creek, Vancouver, British Columbia, Canada. The marina and high rise condominiums of Yaletown are in the background.